Buy Liqua E-Liquid - Strawberry 30ml in Perth, Australia. Free Delivery* and Discount. 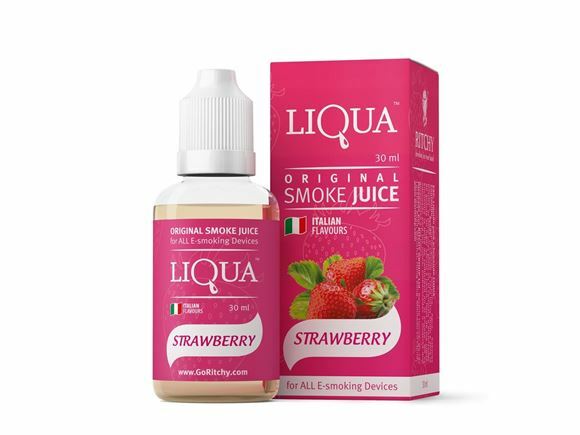 So what is Liqua E-Liquid - Strawberry 30ml? Strawberry is one of our greatest hits and a fantastic loved by sweet and fruit lovers. It has a different unique kind of newly cut strawberries and a delicate yet waiting sweet smell. It is perfect for the individuals who can't avoid the enticement of the majority of that strawberry flavor. E-liquid Strawberry classics among apples and oranges lovers. It is described by unique and newly picked strawberries and delicately waiting sweet fragrance. It is perfect for the individuals who can't avoid the strawberry season in all its forms. LIQUA’s full range of tastes are designed carefully by those who really know what theyshould be – the most professional flavorists from Italy. That means LIQUA’s Tobacco taste is truly right - as fresh as natural leaf Tobacco. LIQUA Strawberry flavor is as juicy as a real green Strawberry, and LIQUA Strawberry – tastes as good as what you’ve got in your morning cup. Our customers always thinking where to buy Liqua E-Liquid in Perth, Australia? and the answer is eCig World is the only place where you can get discount and free shipping with Australia wide express delivery.